Are you new to coloring? Just testing it out to see if you like it? Or have you been coloring for a while? What kind of paper are you coloring on? Do you want tighter control or do you want it to be a litter looser? 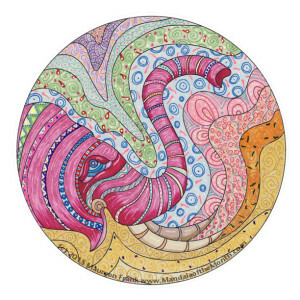 Will you be coloring in different locations (ie. traveling or bringing it with you wherever you go)? 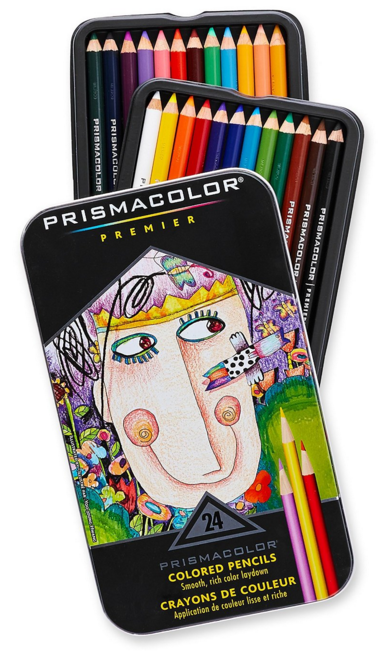 Or will you be coloring pretty much in one location? All of these factor into what will work best for you for coloring. I put together this preliminary list of products by medium. The brands with an * are ones that I currently use. The brands with an # are ones I used to use on a regular basis and may still use on occasion. While I am an affiliate of Amazon, the links are mainly provided so that you can quickly/easily find more information about each of the products I list. Check back once in a while as I will be updating this list as I use and add more products to my toy box. 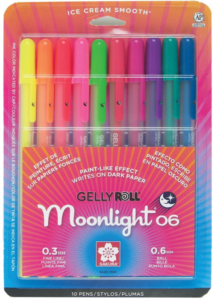 Sakura * – They make a variety of gel pen and marker styles: glitter, metallic, neon, permapague, microns, etc. 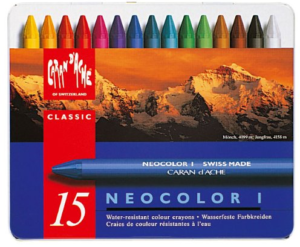 All have worked well for me and I tend to use them the most; high quality, very good colors, more expensive. Their white marker will show up on top of other colors…just make sure the area is dry before using the white. 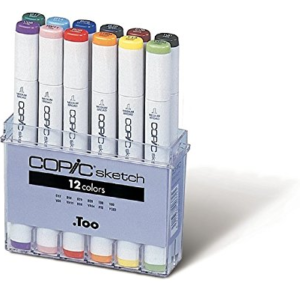 Copic Multiliner SP * – black pigment ink in a variety of sizes; these are great for pen & ink styled coloring, refillable, changeable nibs, expensive (well worth it!). If you want to experiment with pen & ink, start with the Sakura Microns. How about you? What do you like to use? Feel free to share your favorites and why in the comments below.